June and July Figures of the Month! Don't miss the Guest Gallery! 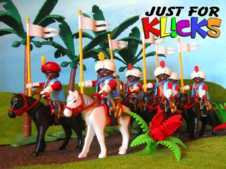 See more Playmobil Conversions, Playmobil Historical Scenes, Playmobil Toy Soldier Collections, Playmobil Photo Stories, and the work of Playmobil Artists and Designers from all over the World!